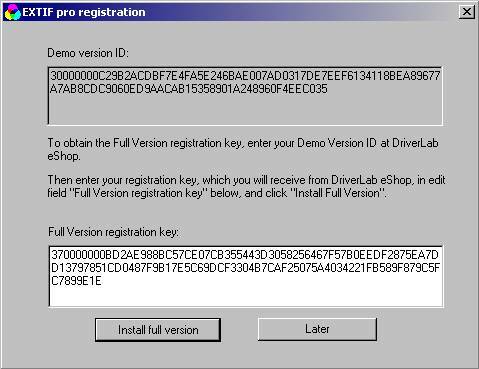 If you have several computers Computer A, Computer B, Computer C, etc., and wish to run EXTIF pro on only one of them, it is essential to actually read the demo version ID from the particular computer where the Full Version will be run, as the registration key belonging to demo version ID from Computer B is unique and thus does not fit to the demo version IDs from Computer A or Computer C.
At the purchase of your registration key at DriverLab eShop, insert the full hexadecimal demo version ID (please make sure you don’t omit any characters when copying by means of mouse / Shift+Arrow and Ctrl+C) along with your address, credit card details, e-mail address, etc. When purchasing the registration key at the eShop, you can choose between Single User Version and Network Shared Version. Please see the corresponding chapters. 8. 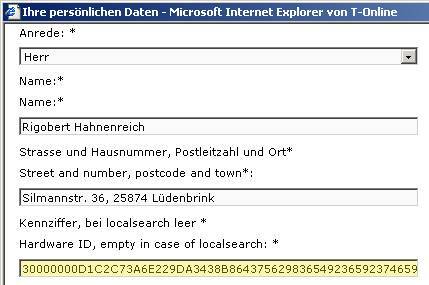 In turn we will send you your personal, approximately 120 digits hexadecimal registration key for the full version via e-mail. 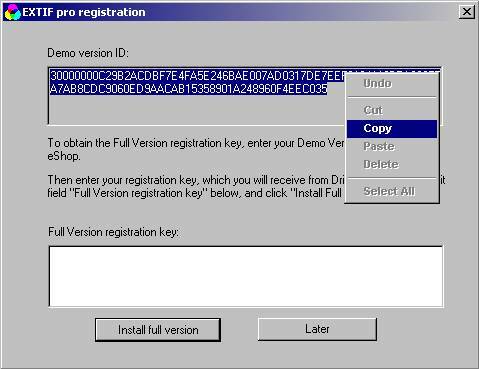 Insert the complete registration key (please make sure you don’t omit any characters when copying by means of mouse / Shift+Arrow and Ctrl+C) into the input field “Registration key for full version” in “EXTIF pro Registration“ window and click “Install full version”.